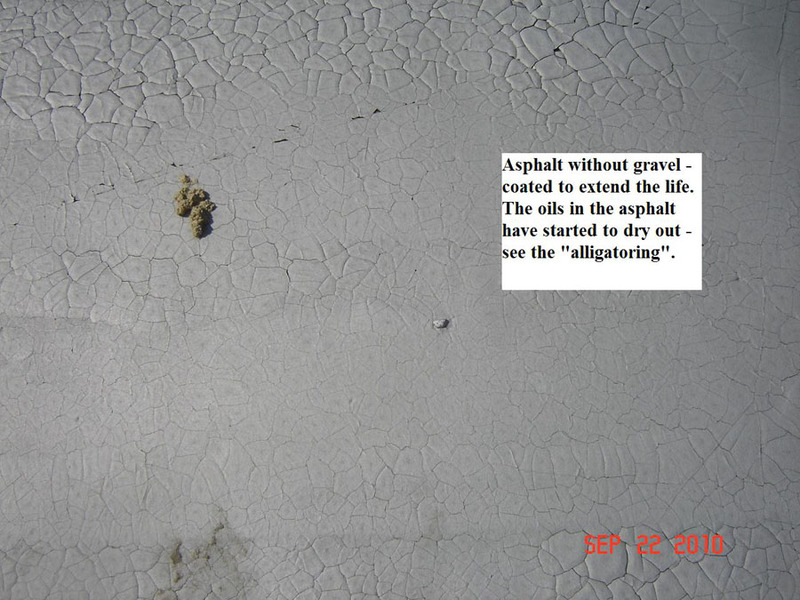 Asphalt without gravel – coated to extend life. 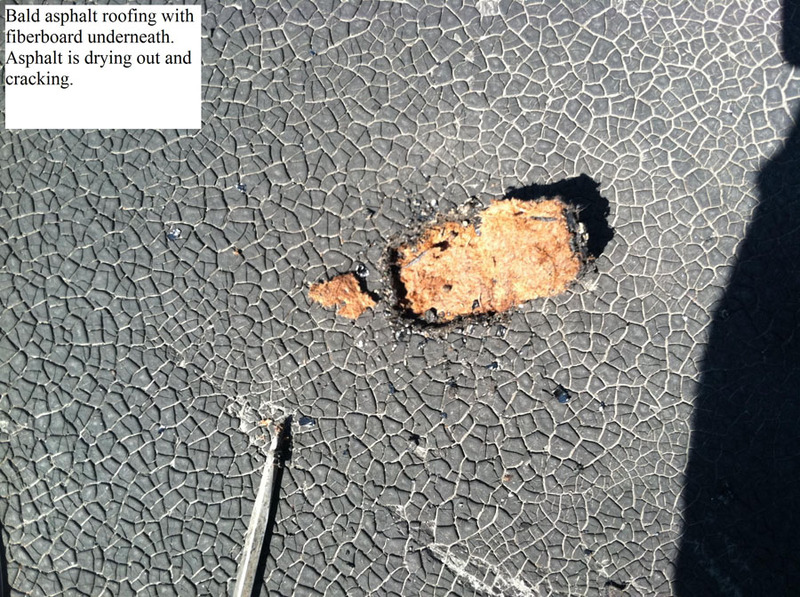 The oils in the asphalt have started to dry out – see the “alligatoring”. 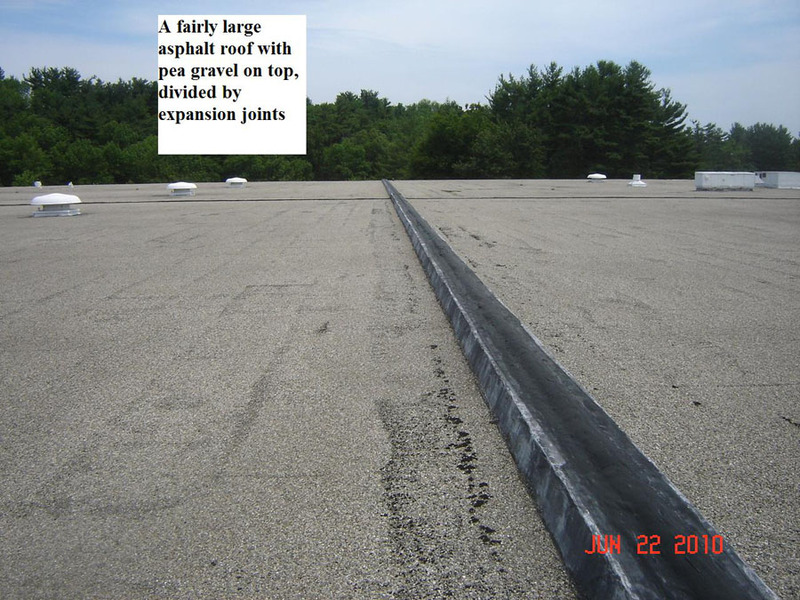 A fairly large asphalt roof with pea gravel on top, divided by expansion joints. 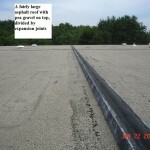 Bald asphalt roofing with fiberboard underneath. 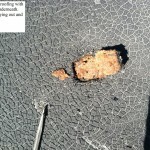 Asphalt is drying out and cracking. 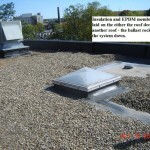 Insulation and EPDM membrane loose laid on either the roof deck or another roof – the ballast rock weighs the system down. 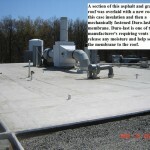 A section of this asphalt and gravel roof was overlaid with a new roof. 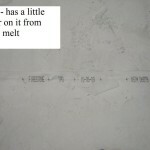 In this case insulation and then a mechanically fastened Duro-last PVC membrane. 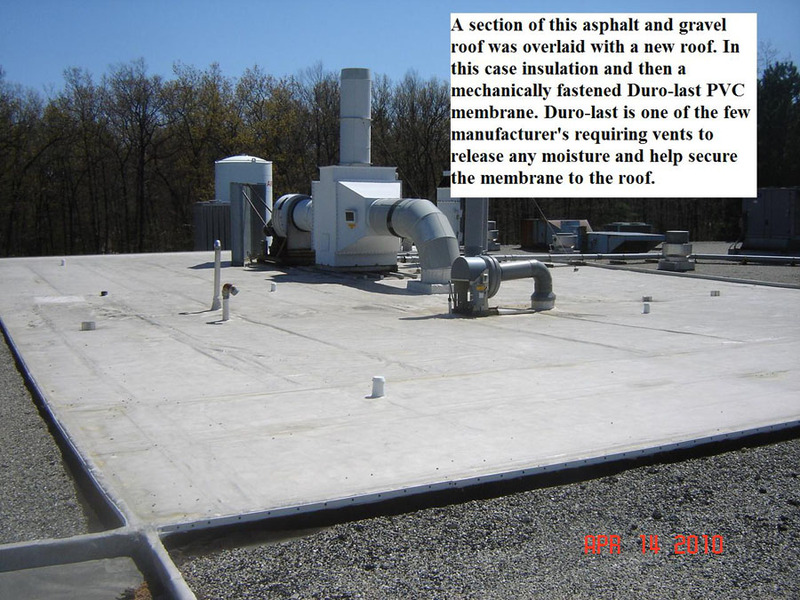 Duro-last is one of the few manufacturer’s requiring vents to release any moisture and help secure the membrane to the roof. 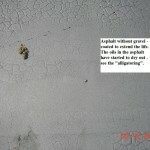 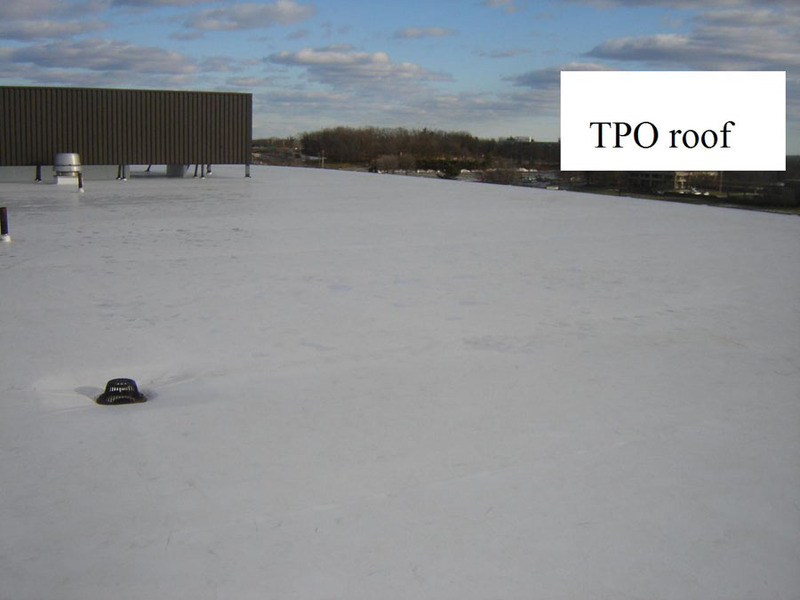 TPO – has a little water on it from snow melt. 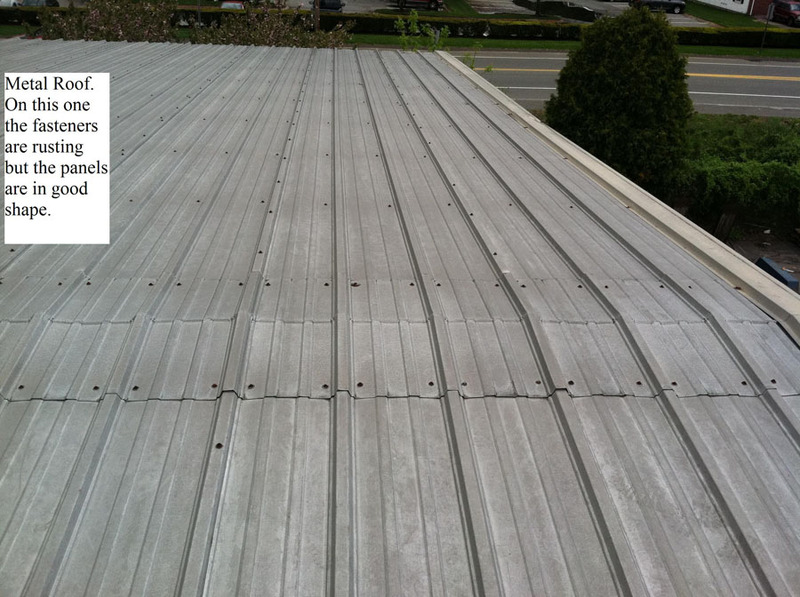 Metal Roof. 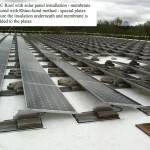 On this one the fasteners are rusting but the panels are in good shape. 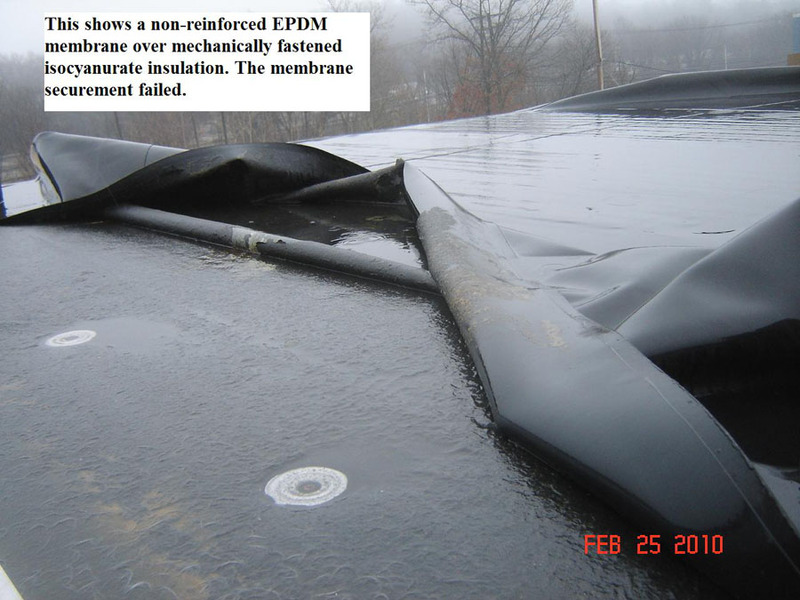 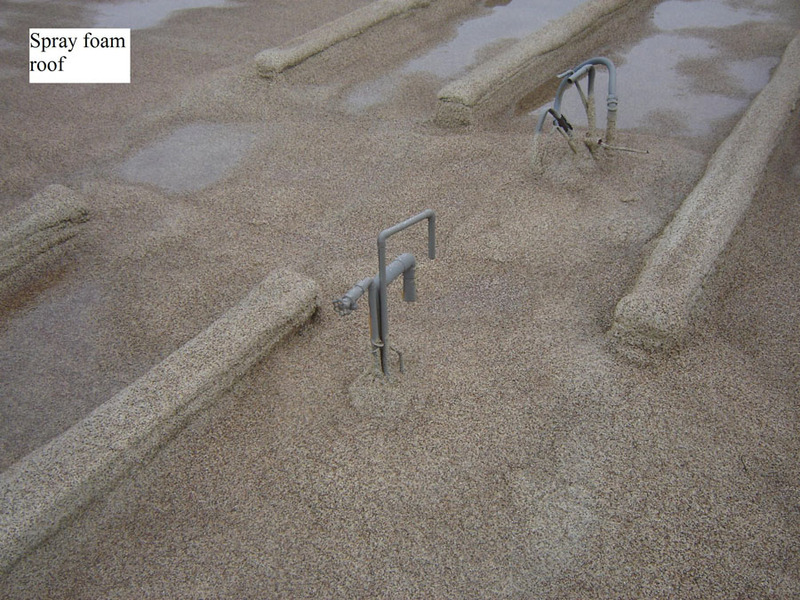 This shows a non-reinforced EPDM membrane over mechanically fastened isocyanurate insulation. 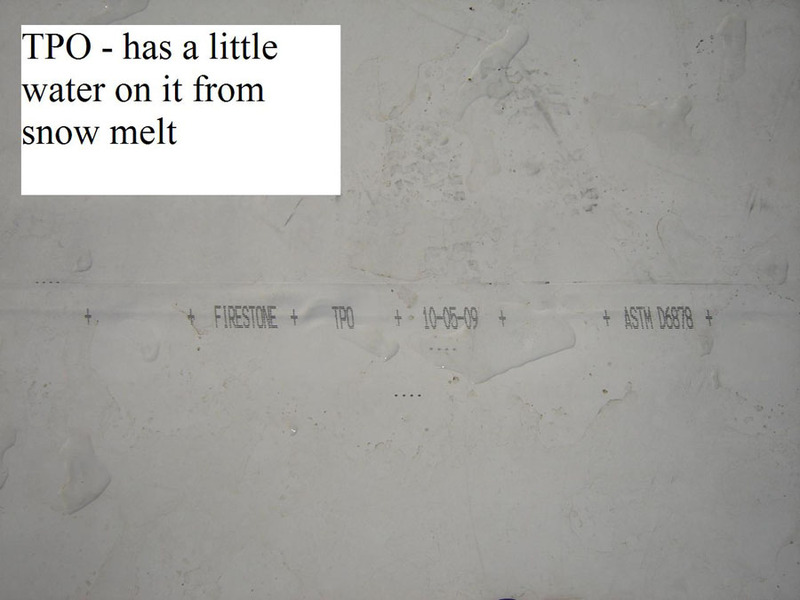 The membrane securement failed. 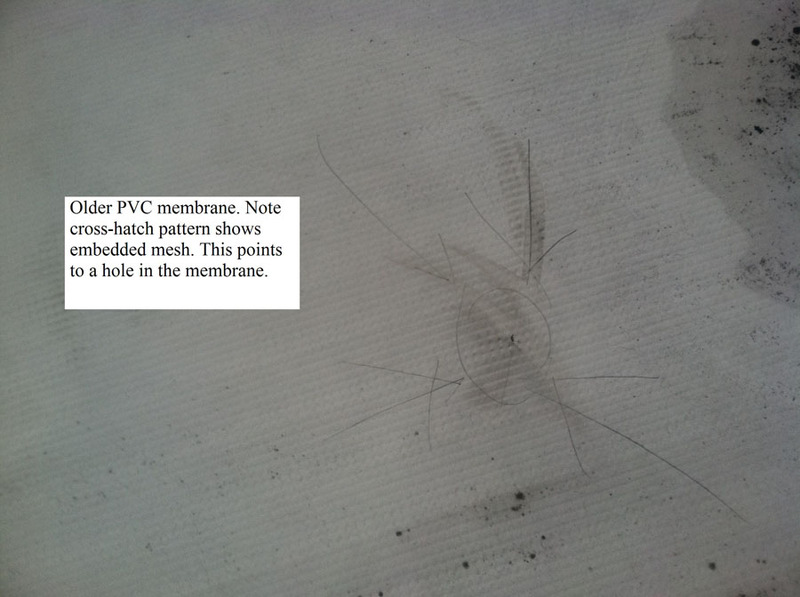 Older PVC membrane. 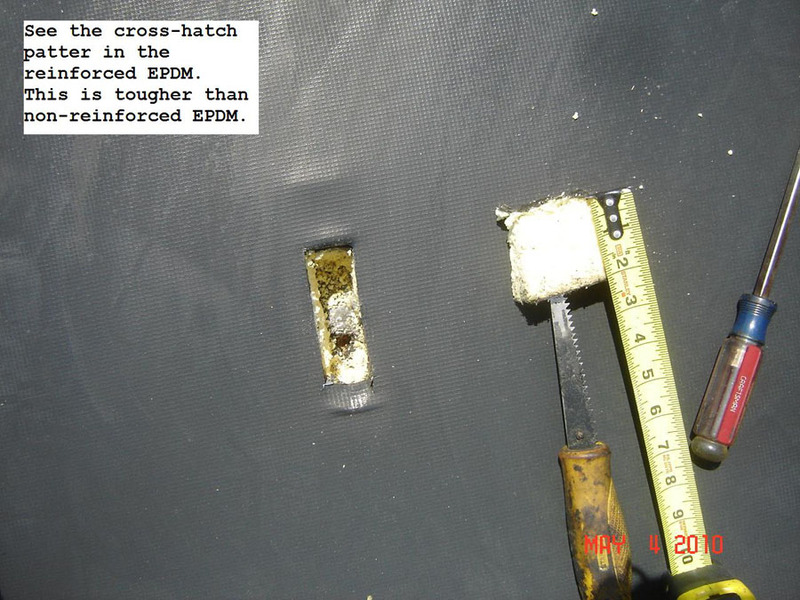 Note cross-hatch pattern shows embedded mesh. 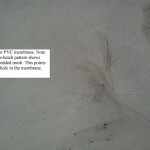 This points to a hole in the mebrane. 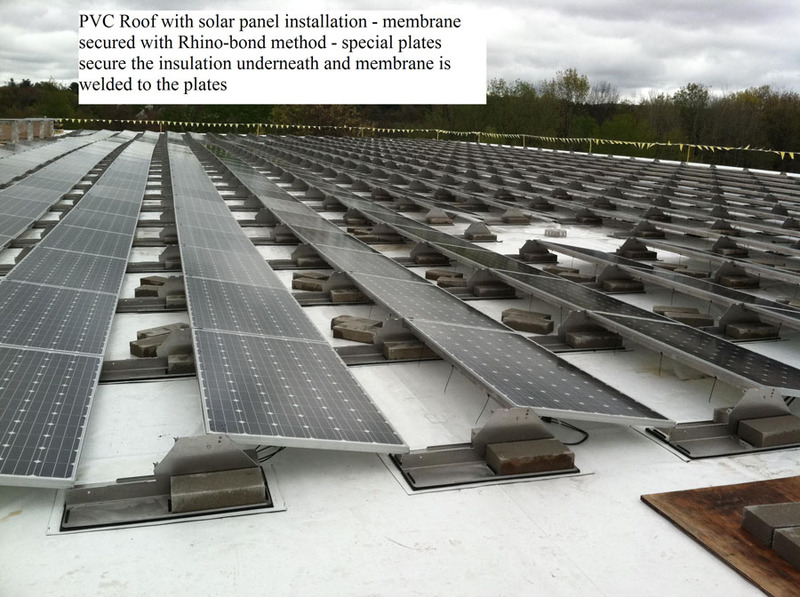 PVC roof with solar panel installation – membrane secured with Rhino-bond method – special plates secure the insulation underneath and membrane is welded to the plates. 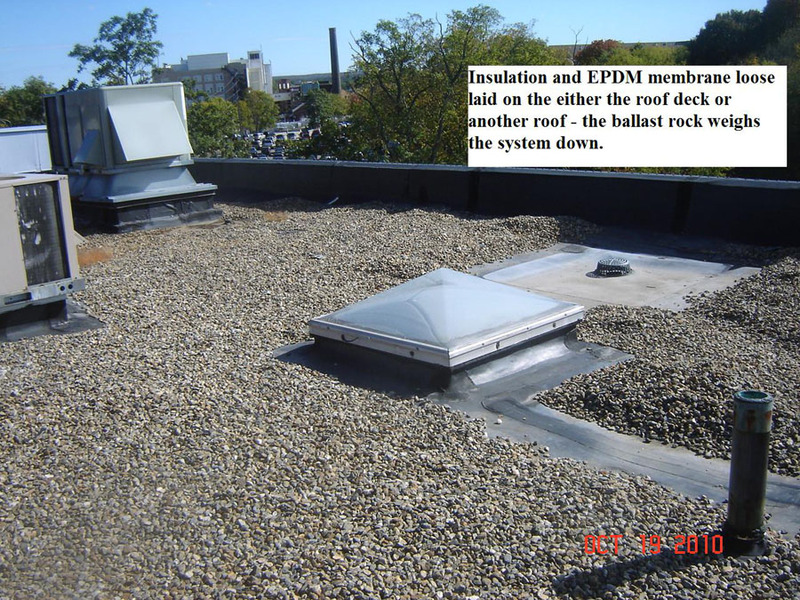 Reinforced EPDM. 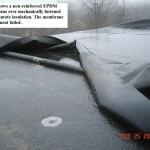 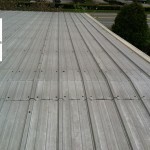 See the cross-hatch pattern in the reinforced EPDM. 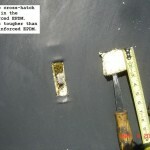 This is tougher than non-reinforced EPDM. 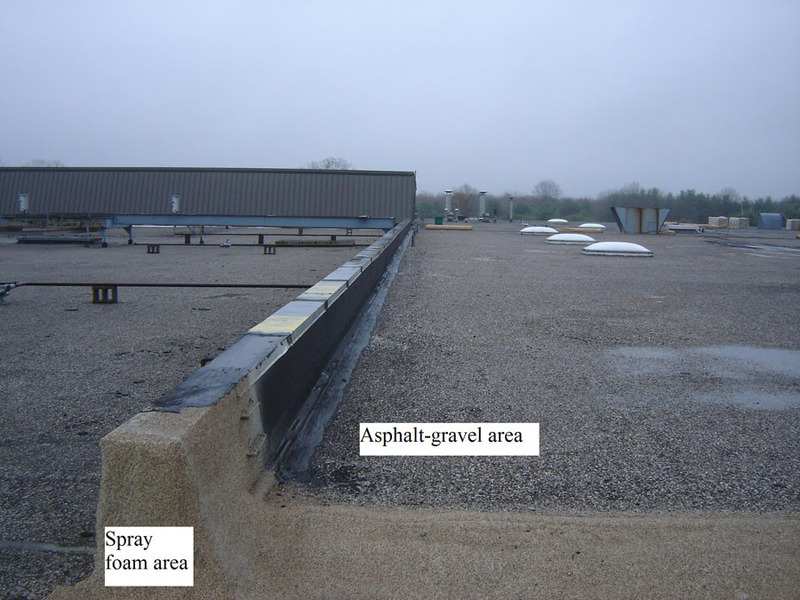 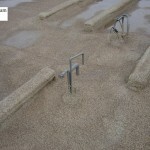 Spray Foam/Asphalt Gravel. 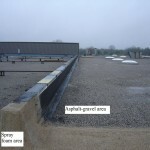 Spray foam area ties-in to asphalt-gravel area.